On December 19th, 2016, a new Czech company, HE3DA s.r.o., based in Prague, opened an automated production line for batteries based on nanotechnology. It’s claimed they are more efficient, last loner, are cheaper, weigh less and are safer than conventional technologies. Company president Dr. Jan Prochazka said he was opening up new markets first in the renewable energy sector, and then electric vehicles, rather than compete with existing lithium battery products. After operating for a few months getting required certifications, further lines will be installed in the east of the Czech Republic and also at a factory in Slovakia. Prochazka believes its technology has advantages not available with existing products. In particular, the nanotech sponge type of electrode gives a larger surface area which increases the energy storage capacity. Other attributes include half the price of existing batteries, safer operation, and it does not require maintenance. It does still use lithium, but with patents on its version using the 3-D electrode. Unlike standard lithium batteries, the HE3DA battery cannot explode or burn in the case of a short circuit since it has a lower internal resistance, rugged separators, potentiostatic protection against over-charging, and no organic matter except for the electrolyte. The company’s HE3DA module has a capacity of 1 MWh, using 125 eight-kWh cells, and in a volume of 8.6 cu.m; the target is for 1kWh/Kg/liter. An impressive higher peak power of fifteen times is possible with its KWh module compared to present products on the market. For electric vehicles it can provide 520 Wh/liter. Furthermore, the technology offers greater flexibility for use by choice of electrode thickness to provide various capacities and charge/discharge time. What’s more, the battery is said to be fully recyclable so easily the worries about safe disposal. Competition from improved lithium ion batteries. Despite this encouraging technology, Austin Sendek, a Ph.D. student at Stanford University, has found possibly 21 solid lithium compounds from a list of 12,891, to replace the potentially explosive liquid electrolyte in standard lithium ion batteries. A database called The Materials Project was used to provide properties of all lithium compounds. It has taken some two years to prepare all the data on those compounds and use artificial intelligence with machine learning to screen these for good lithium ion conductivity, chemical stability and low cost. Next, these compounds will then be tested in the laboratory to see if they really can offer improvement and performance. Let’s hope that these methods do really result in safer products. Back in 2007, there was some excitement about various methods so why haven’t we seen these yet? One was to use electroactive polymers which are insulators, but then become conducting when oxidized or reduced. These were intended to be added as ‘shorting agents’ to limit the battery voltage during charging by changing into the conductive version, and the battery cannot then receive a net charge. Given the claims for greater lightness of the HE3DA battery, perhaps it might also help power airborne drones that are now being used to deliver goods to your doorstep, as done in December by Amazon in Cambridge, England. The claims for greater safety will go some way to placate those fearing their devices, cars or airplanes will spontaneously ignite. In recent times, there was such a problem with the early production of the Boeing Dreamliner, and the Samsung Galaxy Note 7. The announcement of a first production factory now entering production to the timescale indicated last year, shows promise for realizing all of its claimed advantages. 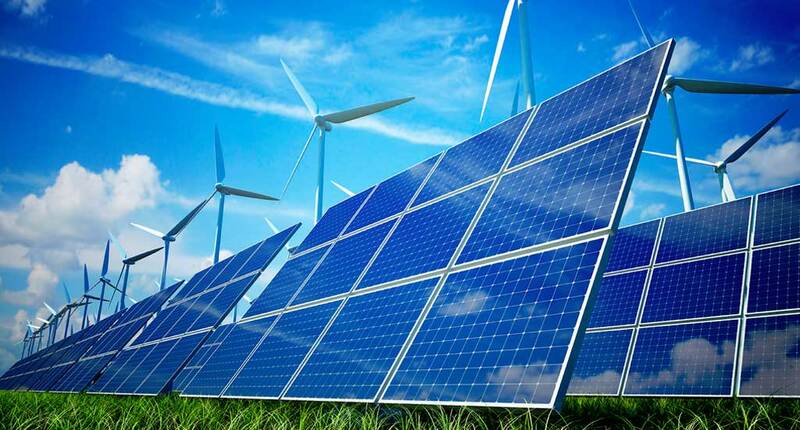 Renewable energies include photovoltaic solar panels creating electricity from sunlight, and wind farms but these only work when there is sun or wind. So, at night or in calm conditions storing energy is a must, and of course for powering electric vehicles. Interestingly, according to business daily Hospodářské Noviny, Chinese businessman Chu Juan Pin agreed to pay €50 million for a 49% stake in the company that will produce these batteries. I wonder if this is a reflection of the huge effort under way in China to use renewable energy. This is no doubt part due to need of the large population, manufacturing industry, and severe pollution from coal-fired electricity plants. The 3-D porous nature of the battery electrode reminds me of the porous nature of the new perovskite solar cells using porous titania, again for greater current capacity, and also the 3-D structure of nanosize pillar electrodes for solar cells by Bloo Solar. Evidently, rather than a menace to the environment as once claimed by some, nanotechnology is yielding some ways forward to improve the environment and our lives. Given the claims for greater safety, we might hope that some day the HE3DA technology might also appear in mobile devices currently using standard lithium ion batteries. – P. H. J. Beatty.